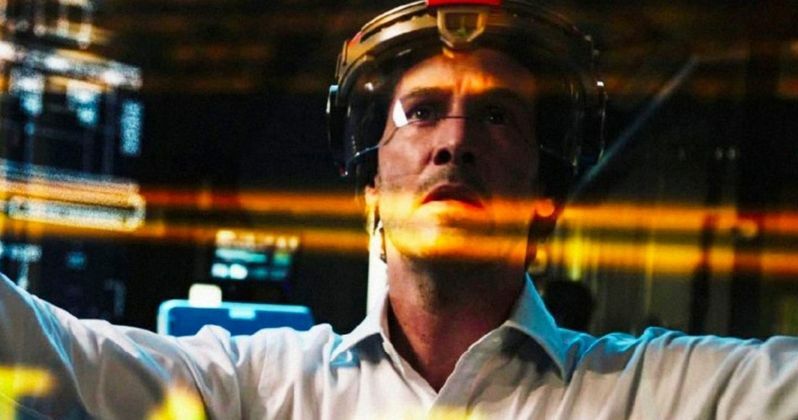 Replicas brings acting legend and genre icon Keanu Reeves back to the world of sci-fi, and it looks down right creepy. Today, we have the trailer for this thriller, which evokes a strong Flatliners tone with a little bit of Johnny Depp's Transcendence thrown in for good measure. Entertainment Studios brings our first sneak peek at Keanu Reeves in the forthcoming sci-fi thriller Replicas. Reeves is joined by a cast that also includes Thomas Middleditch, Alice Eve, Emily Alyn Lind, John Ortiz and Emjay Anthony. The trailer strongly touts that this chiller is from the same guy that brought the world The Transformers. Judging from this first look footage, it's hard to tell if that's a good, bad, or potentially great thing. However you read it, the titles bring the news on like a threat. During this time, Foster's family is tragically killed in a car crash. Desperate to resurrect them, William convinces fellow scientist Ed Whittle (Thomas Middleditch) to help secretly clone their bodies and create exact replicas. Reeves' character must face what is being called a Sophie's Choice. He can only bring back three of his four deceased family members. So, does he go for the wife and two of the kids, or does he leave his wife to the afterlife, and give his children a chance to truly live? Keanu Reeves believes in this sci-fi thriller so much, he's not only starring in the lead role, but he is also producing with his partner Stephen Hamel. Lorenzo di Bonaventura, a name you'll definitely recognize from The Transformers credits, is also on board as a producer. The script comes from Chad St. John, who bestowed the world with the action masterpiece London Has Fallen. Stephen Hamel concocted the original story, Jeffrey Nachmanoff, who wrote The Day After Tomorrow, is directing. Replicas is currently in post-production. And at times, this footage makes it look like a full on horror movie. It's especially terrifying when a dead man wakes up inside the mind of a robot, horrified at the sight of his new metal body. It definitely isn't played for laughs. Keanu Reeves successfully mixed action and sci-fi with his Matrix trilogy. He's also dabbled in sci-fi with the classic Bill & Ted comedies, and he starred in a remake of The Day the Earth Stood Still. And let's not forget Johnny Mnemonic. Fans have wanted to see his return to the genre for awhile, and he's finally given in to their wishes. You can check out the trailer for Replicas from Entertainment Studios.